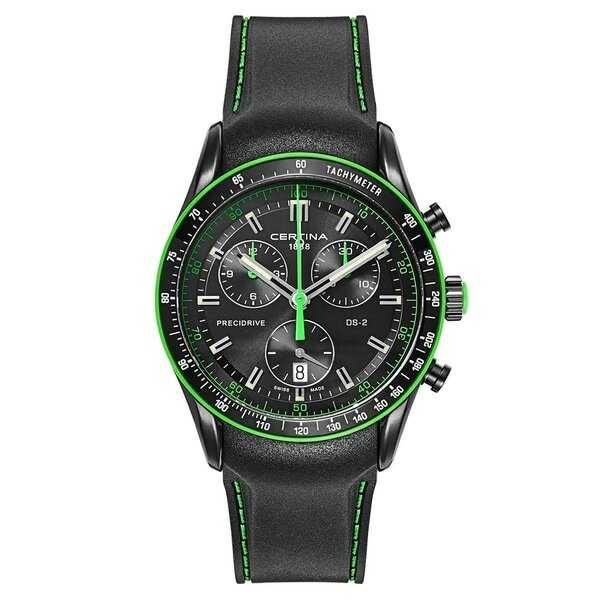 Certina, DS 2 Chronograph, men's watch, stainless steel black PVD coated case, rubber strap, Swiss quartz (battery-powered). Dimensions 51.0 In. X 41.0 In. X 14.0 In.